We are the leading supplier of all type of floor tiles in INDIA .We are the also supplying Spenza 16x16 Parking Tiles. We are famous supplier of Porselano Tiles (pt-02). We are engaged in offering Johnson Porcelain Tiles. We are engaged in supplying Johnson Porcelain Tiles. To meet the variegated demands of the clients, our company is instrumental in offering an excellent quality range of Johnson Porcelain Tiles. 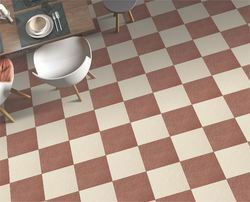 We are supplier of Johnson Porcelain Tiles. We are top notch supplier of Johnson Porcelain Tiles. We are unique supplier of Johnson Royal Beige Gl Wall Tiles. We are engaged in offering Royal Beige Gl Johnson Porcelain Tiles. We are main supplier ofJohnson Royal Beige Gl Bathroom Tiles. We are one of the best supplier of Johnson Porcelain Tiles. We are dealing in Johnson Porcelain Tiles.